They’re young and no-so-young, different nationalities, races, religions and sexual orientations; some were born here, others moved here from all over the country and world. Vincent Puccio hopes to bring a whiskey distillery, retail store and tasting room to the River District by the end of the year. A pop-up event this week in the River District generated interest for a co-working space downtown, and owner Lenny Keesee hopes to sign a lease for the old Bobby Carlson studio on Main Street in September. After Lenny Keesee was told he could no longer work from home, he started looking into creating a co-working space in Danville with his wife, Lacey. A new trolley bus route is coming to Danville next month. Starting Aug. 4, the service will be available 10 a.m. to 10 p.m. every Saturday and 4 p.m. to 11 p.m. the first Friday of each month. The Danville bike share program officially opened Friday with a brief ribbon-cutting ceremony. The former Ritz Theater building at 534 Spring St. has been purchased with an eye toward renovating the structure for a new life in the River District. Another new business is close to opening in the River District: Cottontail Weddings & Events. Two new projects were approved by the River District Design Commission recently, and while details have not been released, this adds two more properties to those under development in the district. 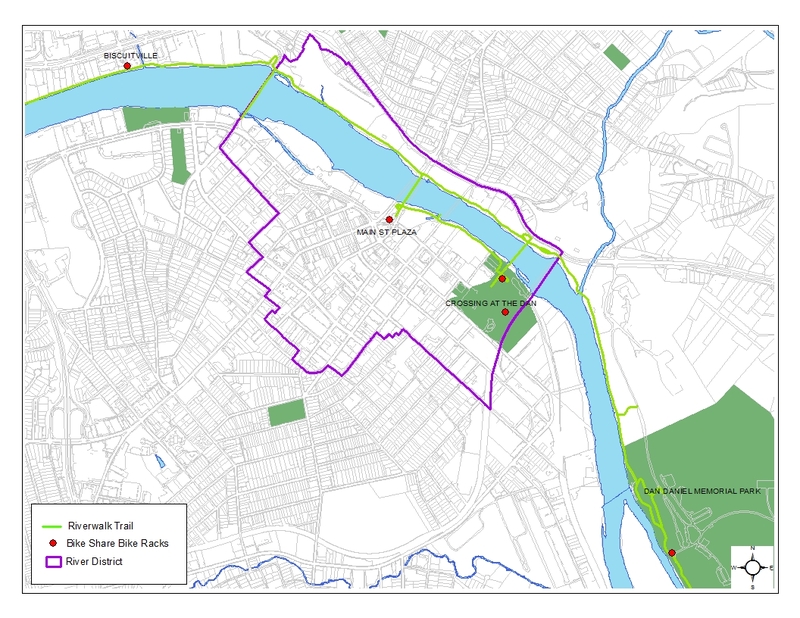 Bicycles should be available for rent in the River District and other parts of Danville later this month, according to city officials. The bikes have arrived and are being assembled at Bicycle Medic. Another new business has joined the growing River District with Snipz Hair Studio holding a grand opening celebration Monday at 326 Main St. The Danville Industrial Development Authority officially owns the White Mill property on Memorial Drive, with the final paperwork signed Tuesday morning, Corrie Teague Bobe, assistant director of economic development, said. Grab your leash and bring your pup for an after work Yappy Hour at the Crossing at the Dan! Yappy Hour 2017 is sponsored by Leggett Town & Country.